43 years ago, the first City to Surf was run, on a 14km course from the heart of downtown Sydney, out to Bondi Beach. Since then, the event has rapidly grown to become the largest event of is kind in the world, attracting in excess of 85 000 entrants annually. Kara had organised a delicious pre-race dinner at Baia the Italian, and invited me to tag along. We topped it off with a visit to the Lindt Chocolate cafe afterwards. I stayed near Town Hall, only a couple of blocks from the start line. I didn’t leave until 20 minutes before the race started, choosing to stay in the warmth of my hostel, and use their bathrooms, right up until the last minute. This way, I didn’t have to compete with the other 84999 other runners also converging on Sydney’s Hyde Park for the start of the race. I arrived with about 15 minutes to spare, and found my place, at the back of the red corral, because most if the other runners in the red group had already arrived. Every runner’s bib was checked as they entered the start zone, so there was no way that you would have been able to sneak into a different colour group. There is also a Gold ‘charity entry’ group, which departs after the red group. I smiled a little as they referred to our group as the elites. The view looking forwards from my position at the start line was amazing… And there were another 70 000 runners behind me! At 7.55am, the starting gun sounded, and the elites (and me!) 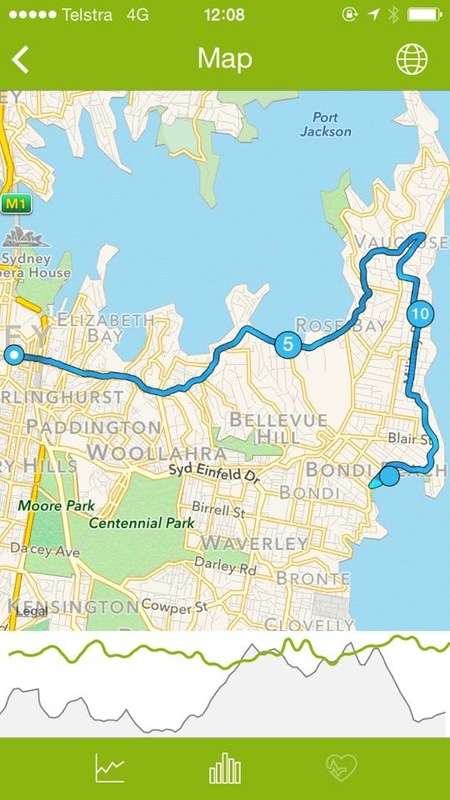 were off on the 14km journey to iconic Bondi Beach. It was not hard to tell when we had made it to the 1km mark… GPS watches started beeping around me everywhere. 1km completed in 4:38… Not too bad considering the congested start line, but I was going to have to get faster than that if I wanted to beat last year’s time of 69:22. The next few kilometres flew by pretty quickly, and before I knew it, I was at the hill. The famous heartbreak hill. I actually don’t find it too bad, but people around me everywhere began to stop and walk – if you need to walk up the hill. You probably shouldn’t be in the red group – just saying! It was really frustrating. I was feeling awesome and trying to accelerate (hills are opportunities to pass people, after all) but I was being stonewalled in every direction by slower runners. I wanted to scream, “get out of my way!!”. 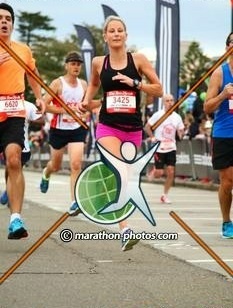 A couple of times I elbowed my way through gaps, and my time dropped to 5:18 for kilometre 7. I had some work to do to make that time up. What comes after heartbreak hill is the fun bits. Some undulating hills, and twists and turns. 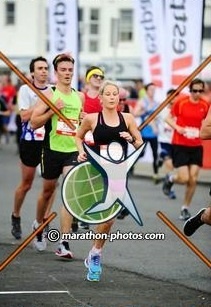 I found myself up on the footpath a couple of times in an attempt to get around other runners. With such a large crowd, I was surprised to run into Cheryl and Vlad at the finish line. 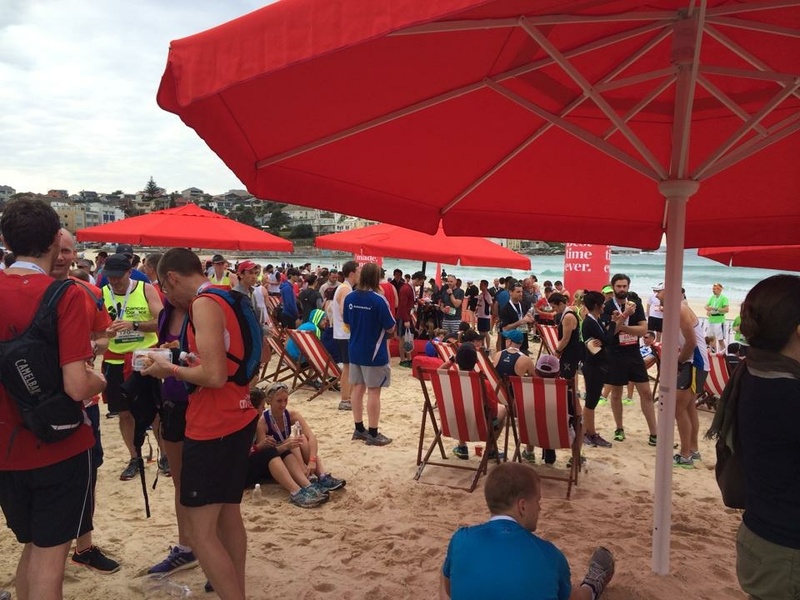 After the race, I chilled out in the Westpac zone, which was an exclusive area, only for Westpac customers. It had free entertainment, sandwiches, drinks, espresso coffee and a barbecue. There has never been a better day to be a Westpac customer! 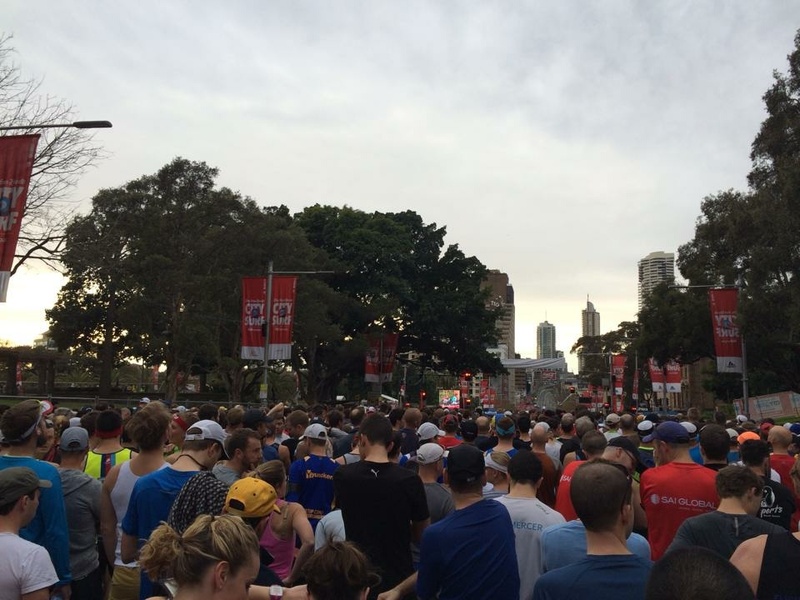 All things considered, I think the City to Surf was a great event. It is well-organised and the atmosphere is fantastic. The course is challenging, and the event also welcomes walkers. 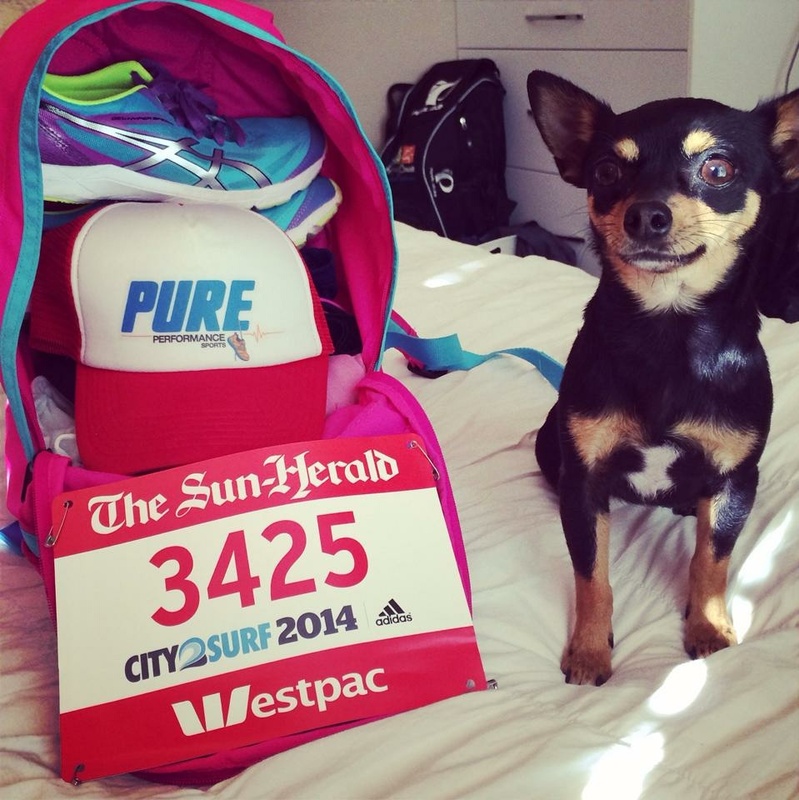 I definetly plan on lining up for the city to surf again next year! I ran it for the first time this year and I agree the atmosphere is AWESOME definitely running it again next year. I cant believe there are hill walkers in the red group??? 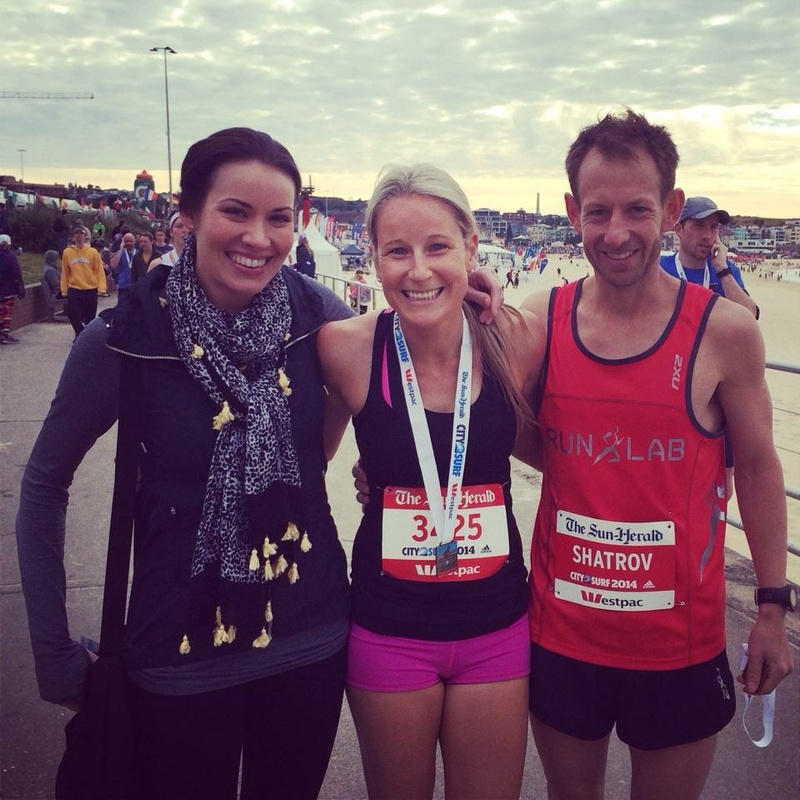 Great time congratulations – think I will open a westpac account in preparation for next year! I know, it was frustrating! I think maybe some people just took bibs of friends who had entered who couldn’t do it… They probably hadn’t actually qualified for red group themselves. I hope they have the a westpac red zone again next year too. Free cappuccino = awesome! Well done, yes it’s all good fun. In 2001, age 43, I started in the red group for the first time. As you know that sea of people make it impossible to run in a straight line, you’re forever darting around other runners. At one stage when I took to the footpath to get some clear air a planter box got in the way so I hurdled it and then crossed back onto the road. In the end I surprisingly ran a time of 53 minutes and 50 seconds, finishing 336th. Fab time and overall position! I think that next year we might have to arrive really early and try to get a position towards the front of the red group! Glad you had fun. I felt the same way and agree that if you’re walking up the hill, you definitely shouldn’t be in red. Hearthbreak Hill is a bit overhyped and the result is that people get shocked psychologically. I think it’s the hills near the end that really test you. The race starts after Heartbreak Hill. Congratulations on your time. I got 72:44, about 2 minutes better than last year. Agree! Heartbreak is not too bad… The rollers after it are the real challenge! Well done on improving your time too…. Not far off qualifying for the red group now!